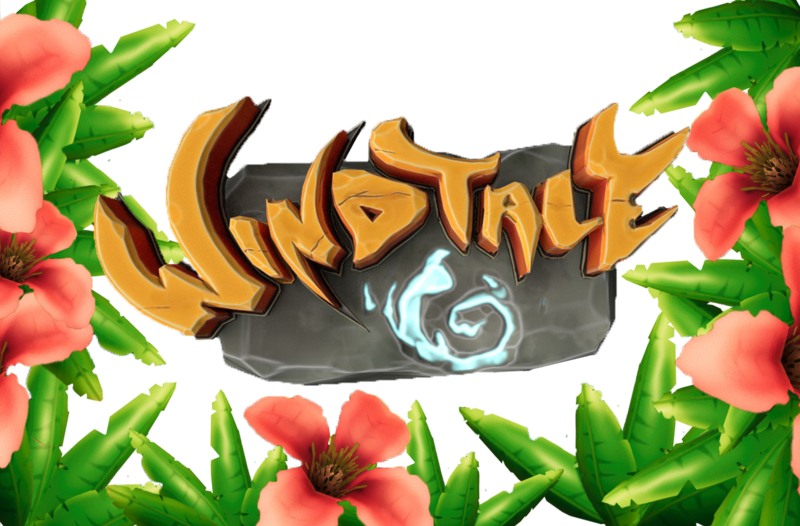 Windtale is an adventure game focused on puzzle solving. Take control of three different elements - water, fire and earth. 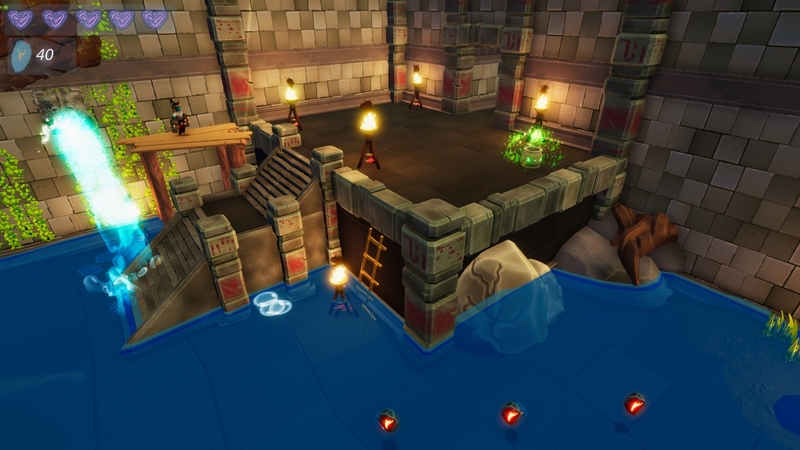 Store these elements in your mysterious gloves, and use them creatively to discover the island you are on. Open the zip file, drop the folder and run the exe file. Enjoy! Can we have an options section so we can change the key bindings please!!! Hey! We are currently looking into an option for Keyboard and mouse controls. Hey! Thanks for playing, really liked the video. Thank you for playing , we are looking into a linux port in the future. Hey, we are looking in to making the game available for mouse and keyboard, but for now you need a gamepad to play. Well, I was pleasently surprised with this game, I mean the trailer looked great and so did the screenshots but I ran the game and it looked even better than the trailer. The start screen was really nice, no messing around here. Either play or quit. On clicking play, I found I liked just about everything in this game. The graphics are fantastic, the audio is top notch but then came the controls. I'm a keyboard and mouse person and when I found out that I needed a controller I was like "oh damn" as I'm not a fan of the xbox controller. I plugged the controller in and you know what, I didn't have a problem with it. I needed like 1 minute to adjust but after that I adjusted really quickly. I then played for around 25-30 minutes (I had to stop to put tea on) and I have to say that I really enjoyed the game. Overall I was really impressed and I think this is an absolute winner. I thought is was better than Crash Bandicoot but that is my personnel opinion though. Well done and good luck TEAM. I'll be playing this one again as I wanna smash that bird at the end of the video. Thank you for you feedback and for playing the game, it was really fun to watch your playthrough video, we are really glad you like the game, and hope to bring you some more levels to play in the future. Not too shabby! 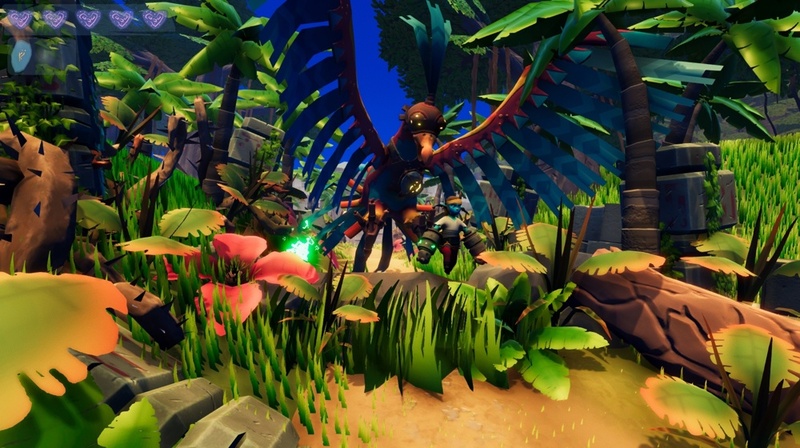 The game looks great and plays alright, but it just doesn't feel like the elemental mechanics go far enough. I get that the combat isn't the main focus of the game and the elements aren't really built around it, but it seems like they should at least be usable in those situations if possible. But in all honesty the block pushing puzzles were the highlight of the game because they were the only real puzzle elements, I felt at least. The rest of the game was contextual button presses of grab element, use element on button or use element on environment. The game has some potential if the systems in place a re built upon, but I don't think they're enough in their current state. Thank you for playing the game and making a video, it was really fun to watch. 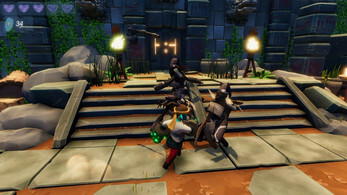 We really like the feedback and will keep it in mind when we continue working on the game. We plan to make more levels and add more elements to use, also we plan on making the enemiestake damage from the element-charges. Again thanks you for playing !